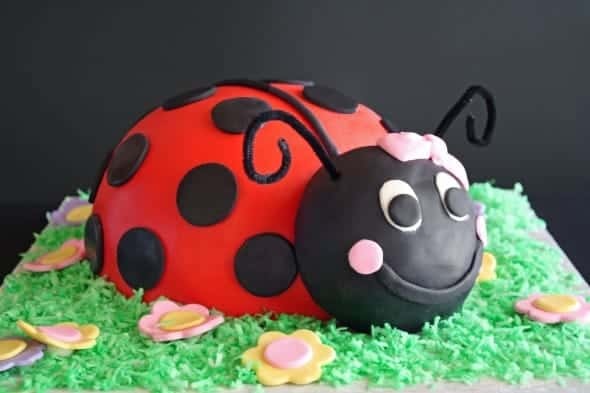 I didn’t mean to post this so abruptly, without even a word of explanation, but I had an inquiry about a Ladybug Cake and I quickly realized that I had never posted this cake on my website (although it is on my Facebook album here or here). This cake was a huge hit for a little girl’s FIRST birthday party! 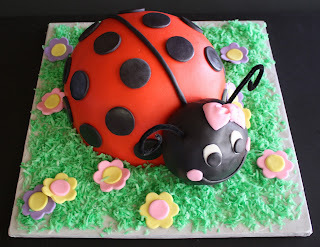 The ladybug head was made of Rice Krispie Treats, then the entire thing was covered in homemade marshmallow fondant. 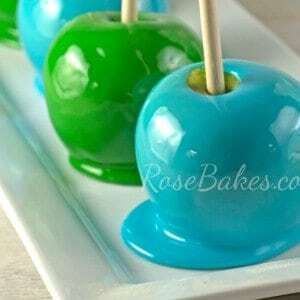 The “grass” was colored coconut! I also made these ladybug cupcakes because the customer needed a few extra servings! These were sort of “thrown together” at the last minute, but I think they turned out pretty cute! The cake is absolutely darling. I never think about doing things like using rice krispie treats for a part. I haven't tried making and decorating with fondant yet. Thank you for including the photos of the cupcakes because those might be a first step for me before I try a large cake with fondant. Thanks for all the info!! The ladybug looks amazing!! Question, when i went to the marshmallow fondant recipe you said that you’d use satin ice for red and black colours since they’re difficult to achieve. 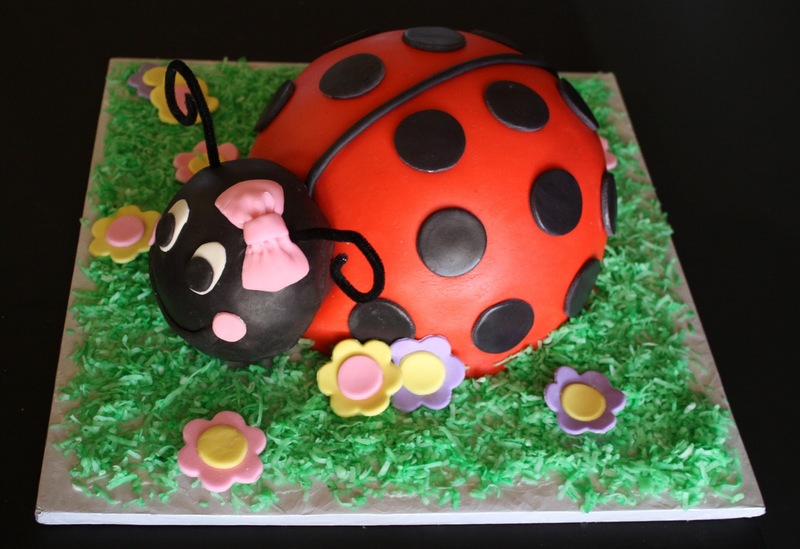 For this ladybug cake, did you use mm fondant, satin ice or a mix? 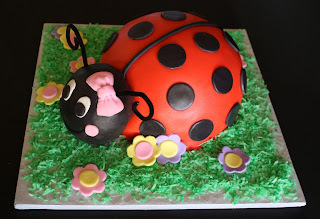 My daughter has just decided she wants a Ladybug cake for her birthday and I would love to have a go. Is there any chance you can disclose what size / shape tin you used to create the ladybugs body please.